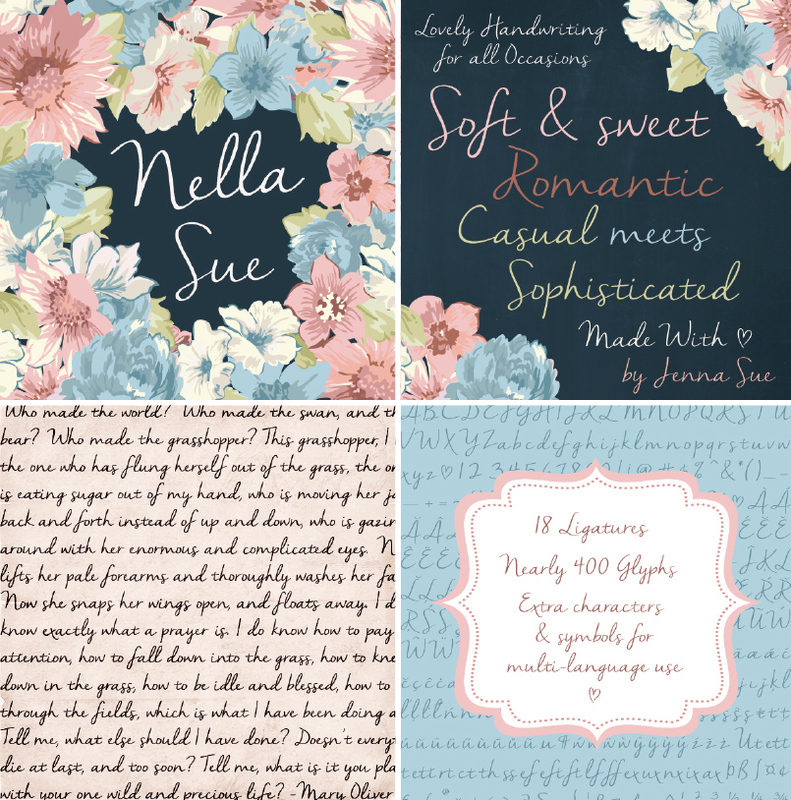 Nella Sue: A soft & sweet handwritten typeface perfect for all occasions. Note: This is the DEMO version which includes basic letters, numbers and ligatures. It is free for personal use only. The full version includes nearly 400 glyphs with a full set of accented characters, symbols and ligatures.